Today’s Supreme Court ruling in favor of nonunion workers in Knox v. Service Employees International Union (SEIU) significantly strengthens nonunion members’ First Amendment rights not to contribute to union political activities. California requires state employees who choose not to join a government union to nonetheless pay the union for expenses related to collective bargaining. However, unions cannot force workers to pay for their political and ideological spending. In prior cases, the Supreme Court has ruled that workers have a First Amendment right to certain procedural protections to enforce their underlying right not to subsidize political opinions they disagree with. Every year, unions must send nonmembers a “Hudson” notice informing them of their right to opt out of “non-chargeable” expenses—i.e., expenses that are not related to collective bargaining. Workers who send in forms opting out must get that portion of their dues refunded. Although there have been other challenges to the required notices and the manner of calculating those chargeable and non-chargeable amounts, the challenge in the Knox case involved a special assessment to workers on top of usual dues. 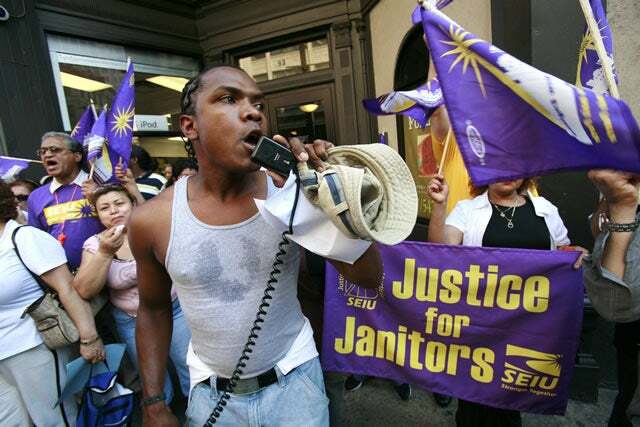 In 2005, the SEIU first issued its normal Hudson notice to nonmembers. After the opt-out period expired, the SEIU then unilaterally raised dues 25 percent, supposedly to raise money to fight several ballot initiatives. This time, the SEIU did not give nonmembers a chance to opt out. Instead, it sent out a letter announcing it was increasing dues to raise more money for its political accounts. It initially denied refunds to workers who asked for them. Dianne Knox and other nonunion workers sued. The Supreme Court ruled in the challengers’ favor today, overturning the Ninth Circuit decision to the contrary. In an opinion by Justice Samuel Alito for five members of the Court, it held that unions must give nonmembers a fresh notice of any additional spending they are assessing workers to support. The Supreme Court also ruled that unions must get the affirmative support of nonmembers before levying any special assessments against them. Rather than employees paying unless they opting out, unions must now persuade workers to opt in for such special assessments. As Justice Alito put it “The general rule—individuals should not be compelled to subsidize private groups or private speech—should prevail.” Unions cannot compel workers to support their political goals. Union leaders chafe at this. They know that many rank-and-file workers oppose the policies that they advocate. In Wisconsin, Governor Scott Walker (R) got 38 percent of the union household vote despite unions spending tens of millions of their members’ dues to defeat him. Importantly, Knox v. SEIU opens the door for the Supreme Court to reconsider related issues, including whether unions need affirmative consent for all non-chargeable expenses (not just special assessments) and how unions calculate the portion of dues nonmembers get forced to pay. This would be great news. Workers should not have to jump through loopholes to exercise their right to disagree with their union. Justice Sonia Sotomayor, with Justice Ruth Bader Ginsburg signing on, wrote that she would have issued a narrow ruling for the challengers today and disagrees with the broader language in Justice Alito’s opinion. Two other justices (Stephen Breyer and Elena Kagan) dissented altogether, creating a 5–4 split on the broader questions. Regardless of the margin on these issues, it is a significant victory for the National Right to Work Legal Defense Foundation, which represented the nonunion workers, and a great day for the First Amendment rights of workers everywhere. 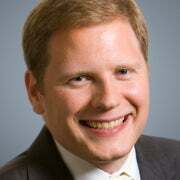 James Sherk is a Senior Policy Analyst in Labor Economics in the Center for Data Analysis, and Todd Gaziano is the Director of the Center for Legal and Judicial Studies at The Heritage Foundation. 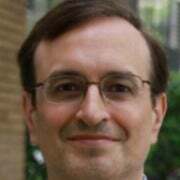 Todd Gaziano is executive director of Pacific Legal Foundation’s D.C. Center and senior fellow in Constitutional Law. For many years previous, he was the founding director of the Legal Center at The Heritage Foundation.